"We have had Vision Builders do three projects at our house now. Below are pictures of our second project and the third will be completed in the middle of March. Each project has surpassed expectations than the previous. We have not been shy to share their contact information to others. There are many things we love about Vision Builders but what we feel really puts them apart from other builders is the eye on details and the flexibility. We will only use Vision Builders for any other home projects we do." Jeremy B. "Visions Builder has done several projects for us, from extensive construction to smaller repair jobs. In all cases we were given an estimated cost for the job to be done and at the end of the project we were provided with a detailed invoice of the work completed. All work has been done with quality materials and excellent workmanship. Mr Geyer and his staff have always completed work in a timely and professional manner, and left the work site very clean. We would highly recommend Visions Builder for any construction or repair projects." 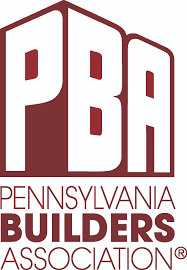 Ron H.
Visions Builder is pleased to offer our construction and remodeling services in, Exton, West Chester, Downingtown, Frazer, Coatesville, Lionville, Phoenixville, Chester Springs, Thorndale, West Bradford, Malvern, Paoli, Newtown Square and many other communities. Contact Us today for more information.